My friend Tracey who now lives in Australia, gave me this really easy refrigerate slice recipe. I met Tracey when we were living in Brunei, she was a great cook, friend and also a very creative lady who used to make the most beautiful patchwork quilts and exquisitely detailed Victorian embroidery. Lemons are plentiful in Australasia right now, so my suggestion for the slice. 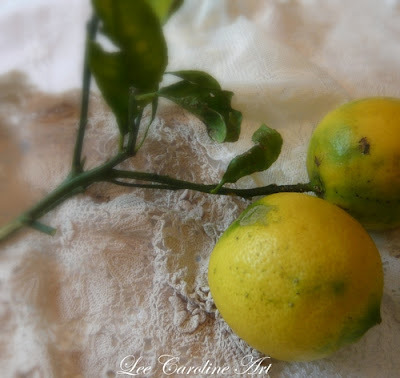 The lemons below I picked from my mothers garden. The beautiful lace mat is also my mothers and was hand made by my grandmother many years ago. I think the lace technique is called "tatting". 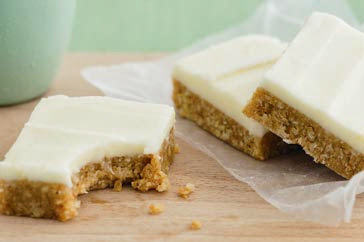 This slice makes a great lunchbox filler or yummy to have with a cup of tea and friends. Another simple, full proof recipe for those who struggle with baking. Please see my recipe page or click on the photos above for a direct link.